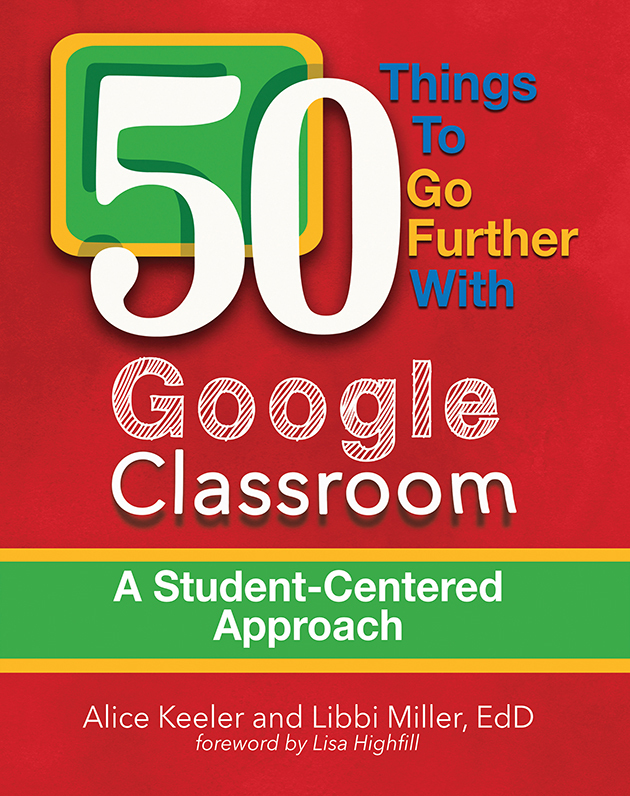 In 50 Things to Go Further with Google Classroom: A Student-Centered Approach, authors and educators Alice Keeler and Libbi Miller help teachers create a digitally rich, engaging, student-centered environment that taps the power of individualized learning using Google Classroom. Today’s technology empowers educators to move away from the traditional classroom where teachers lead and students work independently—each doing the same thing. In 50 Things to Go Further with Google Classroom: A Student-Centered Approach, authors and educators Alice Keeler and Libbi Miller offer inspiration and resources to help you create a digitally rich, engaging, student-centered environment. They show you how to tap into the power of individualized learning that is possible with Google Classroom.